Here you can get Class 12 Important Questions Chemistry based on NCERT Text book for Class XII. Chemistry Class 12 Important Questions are very helpful to score high marks in board exams. Here we have covered Important Questions on Solid State for Class 12 Chemistry subject. Which of the following conditions favours the existence of a substance in the solid state? Which of the following is not a characteristic of a crystalline solid? (i) Definite and characteristic heat of fusion. 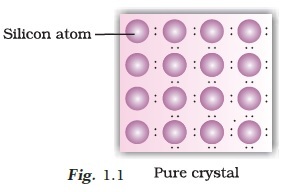 (iii) A regular periodically repeated pattern of arrangement of constituent particles in the entire crystal. Which of the following is an amorphous solid? Which of the following arrangements shows schematic alignment of magnetic moments of antiferromagnetic substances? Which of the following is true about the value of refractive index of quartz glass? Which of the following statement is not true about amorphous solids? (i) On heating they may become crystalline at certain temperature. (ii) They may become crystalline on keeping for long time. (iii) Amorphous solids can be moulded by heating. (iv) They are anisotropic in nature. The sharp melting point of crystalline solids is due to ___________. (i) a regular arrangement of constituent particles observed over a short distance in the crystal lattice. (ii) a regular arrangement of constituent particles observed over a long distance in the crystal lattice. (iii) same arrangement of constituent particles in different directions. (iv) different arrangement of constituent particles in different directions. Iodine molecules are held in the crystals lattice by ________________. Which of the following is a network solid? 10. 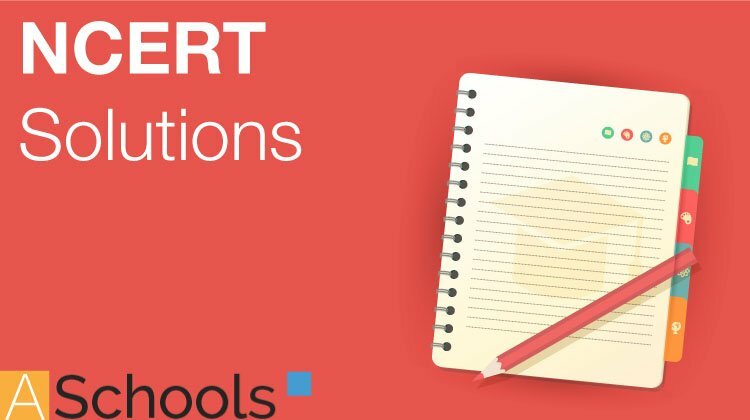 Which of the following solids is not an electrical conductor? Which of the following is not the characteristic of ionic solids? (i) Very low value of electrical conductivity in the molten state. (iii) Very strong forces of interactions. Graphite is a good conductor of electricity due to the presence of ___________. Which of the following oxides behaves as conductor or insulator depending upon temperature? Which of the following oxides shows electrical properties like metals? The lattice site in a pure crystal cannot be occupied by ____________. Graphite cannot be classified as ______________. Cations are present in the interstitial sites in ____________. Schottky defect is observed in crystals when ____________. (i) some cations move from their lattice site to interstitial sites. (ii) equal number of cations and anions are missing from the lattice. (iii) some lattice sites are occupied by electrons. (iv) some impurity is present in the lattice. Which of the following is true about the charge acquired by p-type semiconductors? To get a n-type semiconductor from silicon, it should be doped with a substance with valence . The Total number of tetrahedral voids in the face centred unit cell is ____________. Which of the following point defects are shown by AgBr(s) crystals? In which pair most efficient packing is present? The percentage of empty space in a body centred cubic arrangement is _______________. Which of the following statement is not true about the hexagonal close packing? (i) The coordination number is 12. (ii) It has 74% packing efficiency. (iii) Tetrahedral voids of the second layer are covered by the spheres of the third layer. (iv) In this arrangement spheres of the fourth layer are exactly aligned with those of the first layer. In which of the following structures coordination number for cations and anions in the packed structure will be same? (i) Cl– ion form fcc lattice and Na+ ions occupy all octahedral voids of the unit cell. (iii) O2- ions form fcc lattice and Na+ ions occupy all the eight tetrahedral voids of the unit cell. (iv) S2- ions form fcc lattice and Zn2+ ions go into alternate tetrahedral voids of the unit cell. What is the coordination number in a square close packed structure in two dimensions? Which kind of defects are introduced by doping? Silicon doped with electron-rich impurity forms __________. (i) Paramagnetic substances are weakly attracted by magnetic field. (ii) Ferromagnetic substances cannot be magnetised permanently. (iii) The domains in antiferromagnetic substances are oppositely oriented with respect to each other. (iv) Pairing of electrons cancels their magnetic moment in the diamagnetic substances. Which of the following is not true about the ionic solids? (i) Bigger ions form the close packed structure. (ii) Smaller ions occupy either the tetrahedral or the octahedral voids depending upon their size. (iii) Occupation of all the voids is not necessary. (iv) The fraction of octahedral or tetrahedral voids occupied depends upon the radii of the ions occupying the voids. A ferromagnetic substance becomes a permanent magnet when it is placed in a magnetic field becuase . (i) all the domains get oriented in the direction of magnetic field. (ii) all the domains get oriented in the direction opposite to the direction of magnetic field. (iii) domains get oriented randomly. (iv) domains are not affected by magnetic field. The correct order of the packing efficiency in different types of unit cells is _____________. Which of the following defects is also known as dislocation defect? In the cubic close packing, the unit cell has ____________. (i) 4 tetrahedral voids each of which is shared by four adjacent unit cells. (ii) 4 tetrahedral voids within the unit cell. (iii) 8 tetrahedral voids each of the which is shared by four adjacent unit cells. (iv) 8 tetrahedral voids within the unit cells. 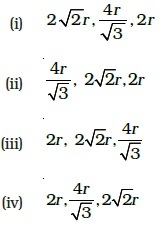 The edge lengths of the unit cells in terms of the radius of spheres constituting fcc,bcc and simple cubic unit cell are respectively ____________. Which of the following represents correct order of conductivity in solids? Which of the following is not true about the voids formed in 3 dimensional hexagonal close packed structure? (i) A tetrahedral void is formed when a sphere of the second layer is present above triangular void in the first layer. (ii) All the triangular voids are not covered by the spheres of the second layer. (iii) Tetrahedral voids are formed when the triangular voids in the second layer lie above the triangular voids in the first layer and the triangular shapes of these voids do not overlap. (iv) Octahedral voids are formed when the triangular voids in the second layer exactly overlap with similar voids in the first layer. The value of magnetic moment is zero in the case of antiferromagnetic substances because the domains . (i) get oriented in the direction of the applied magnetic field. (ii) get oriented opposite to the direction of the applied magnetic field. (iii) are oppositely oriented with respect to each other without the application of magnetic field. (iv) cancel out each other’s magnetic moment. Which of the following statements are not true? (i) Vacancy defect results in a decrease in the density of the substance. (ii) Interstitial defects results in an increase in the density of the substance. (iii) Impurity defect has no effect on the density of the substance. (iv) Frankel defect results in an increase in the density of the substance. Which of the following statements are true about metals? (i) Valence band overlaps with conduction band. (ii) The gap between valence band and conduction band is negligible. (iii) The gap between valence band and conduction band cannot be determined. (iv) Valence band may remain partially filled. Under the influence of electric field, which of the following statements is true about the movement of electrons and holes in a p-type semi conductor? (i) Electron will move towards the positvely charged plate through electron holes. 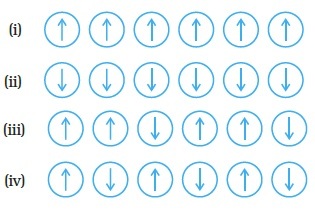 (ii) Holes will appear to be moving towards the negatively charged plate. (iii) Both electrons and holes appear to move towards the positively charged plate. (iv) Movement of electrons is not related to the movement of holes. Which of the following statements are true about semiconductors? (i) Silicon doped with electron rich impurity is a p-type semiconductor. (ii) Silicon doped with an electron rich impurity is an n-type semiconductor. (iii) Delocalised electrons increase the conductivity of doped silicon. (iv) An electron vacancy increases the conductivity of n-type semiconductor. An excess of potassium ions makes KCl crystals appear violet or lilac in colour since _________. (i) some of the anionic sites are occupied by an unpaired electron. (ii) some of the anionic sites are occupied by a pair of electrons. (iii) there are vacancies at some anionic sites. (iv) F-centres are created which impart colour to the crystals. The number of tetrahedral voids per unit cell in NaCl crystal is ____________. (iii) twice the number of octahedral voids. (iv) four times the number of octahedral voids. Amorphous solid can also be called __________. A perfect crystal of silicon (Fig. 1.1) is doped with some elements as given in the options. Which of these options show n-type semiconductors? (i) Ferrimagnetic substances lose ferrimagnetism on heating and become paramagnetic. (ii) Ferrimagnetic substances do not lose ferrimagnetism on heating and remain ferrimagnetic. (iii) Antiferromagnetic substances have domain structures similar to ferromagnetic substances and their magnetic moments are not cancelled by each other. (iv) In ferromagnetic substances all the domains get oriented in the direction of magnetic field and remain as such even after removing magnetic field. Which of the following features are not shown by quartz glass? (i) This is a crystalline solid. (ii) Refractive index is same in all the directions. (iii) This has definite heat of fusion. (iv) This is also called super cooled liquid. Which of the following cannot be regarded as molecular solid? In which of the following arrangements octahedral voids are formed? Frenkel defect is also known as ___________. Which of the following defects decrease the density? Why are liquids and gases categorised as fluids? Inspite of long range order in the arrangement of particles why are the crystals usually not perfect? Why does table salt, NaCl, some times appear yellow in colour? Why is FeO (s) not formed in stoichiometric composition? Why does white ZnO (s) becomes yellow upon heating? Why does the electrical conductivity of semiconductors increase with rise in temperature? Explain why does conductivity of germanium crystals increase on doping with galium. In a compound, nitrogen atoms (N) make cubic close packed lattice and metal atoms (M) occupy one-third of the tetrahedral voids present. Determine the formula of the compound formed by M and N? Note : In the following questions match the items given in Column I with the items given in Column II. In some questions more than one item of Column I and Column II may match. Match the defects given in Column I with the statements in given Column II. (i) Simple vacancy defect (a) shown by non-ionic solids and increases density of the solid. (ii) Simple interstitial defect (b) shown by ionic solids and decreases density of the solid. (iv) Schottky defect (d) shown by ionic solids and density of the solid remains the same. (i) Primitive cubic unit cell (a) Each of the three perpendicularedges compulsorily have the differentedge length i.e; a≠b≠c. (ii) Body centred cubic unit cell (b) Number of atoms per unit cell is one. iv) End centred orthorhombic unit cell (d) In addition to the contribution fromthe corner atoms the number of atomspresent in a unit cell is one. (e) In addition to the contribution fromthe corner atoms the number ofatoms present in a unit cell is three. Match the types of defect given in Column I with the statement given in Column II. Match the items given in Column I with the items given in Column II. Match the type of packing given in Column I with the items given in Column II. (i) Assertion and reason both are correct statements and reason is correct explanation for assertion. (ii) Assertion and reason both are correct statements but reason is not correct explanation for assertion. Assertion : The total number of atoms present in a simple cubic unit cell is one. Reason : Simple cubic unit cell has atoms at its corners, each of which is shared between eight adjacent unit cells. Assertion : Graphite is a good conductor of electricity however diamond belongs to the category of insulators. Reason : Graphite is soft in nature on the other hand diamond is very hard and brittle. Assertion : Total number of octahedral voids present in unit cell of cubic close packing including the one that is present at the body centre, is four. Reason : Besides the body centre there is one octahedral void present at the centre of each of the six faces of the unit cell and each of which is shared between two adjacent unit cells. Assertion : The packing efficiency is maximum for the fcc structure. Reason : The cordination number is 12 in fcc structures. Assertion : Semiconductors are solids with conductivities in the intermediate range from 10–6 – 104 ohm–1m–1. 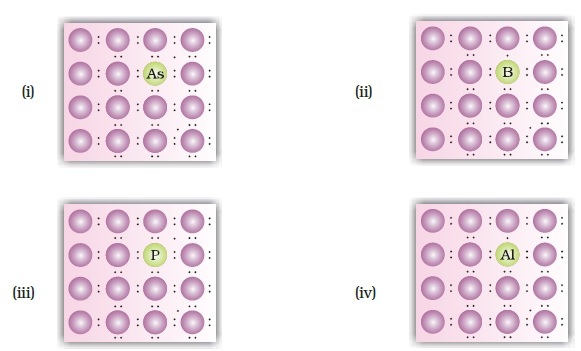 Reason : Intermediate conductivity in semiconductor is due to partially filled valence band. How does the doping increase the conductivity of semiconductors? A sample of ferrous oxide has actual formula Fe0.93O1.00. In this sample what fraction of metal ions are Fe2+ ions? What type of nonstoichiometric defect is present in this sample?